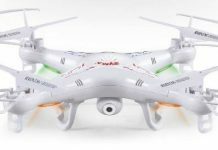 REMEMBER: You Will Discover 6 Best Accessories for Syma X5SW Quadcopter! Number 2 Is Really Interesting! 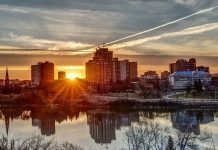 GREAT Photos and Insightful Tips INSIDE! 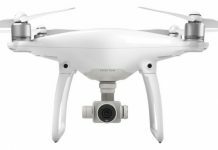 These Tips Helped Over 12,300 Readers of DRONEBLY! 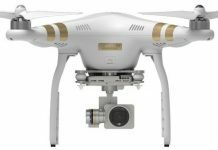 Whether you bought your new Syma X5SW for yourself or a loved one, the right accessories can make the flying experience even better. 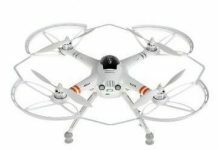 Even though this quadcopter comes with everything you need to get started, it never hurts to have parts, batteries and other accessories on hand to extend your flying time and fun. Even experienced pilots crash their drones from time to time. Having additional replacement parts on hand will help you continue the fun even if you have a minor accident or two. The great news is that this kit costs less than $25, bold so you won’t have to spend a fortune on replacement parts for the X5SW. 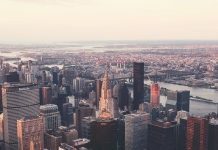 CLICK HERE for User Reviews, Deals and Discounts. 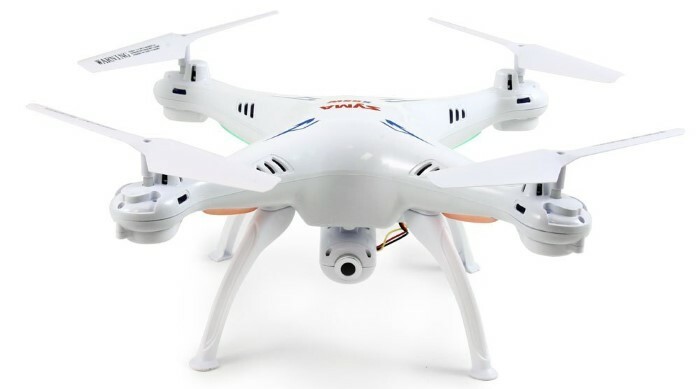 The Syma X5SW comes with a rechargeable battery, but if you want your flight sessions to last, you’ll need to invest in extra batteries. 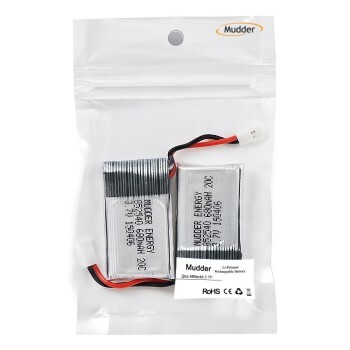 The Mudder upgraded battery kit comes with two upgraded 680mAh 3.7V batteries, so you can continue flying your drone while your other battery recharges. These batteries each give you 10 extra minutes of flight per charge. They also come with a protection circuit built in, which includes anti-short-circuit, dual IC chips, overload protection and overcurrent features. Because this is a direct replacement battery for the quadcopter, you don’t have to make any modifications for it to work. 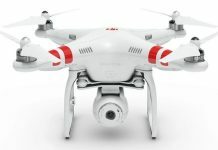 While it’s fun to fly your drone in your home or in your backyard, the real fun starts when you fly your drone outside – away from home – or at a friend’s house. 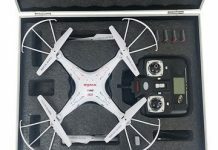 If you plan on taking the Syma X5SW on the go, you need a safe, protective way to carry your drone. Red Rock offers a hard carrying case designed exclusively for the Syma X5SC, so you can take your drone with you without worrying about parts breaking. 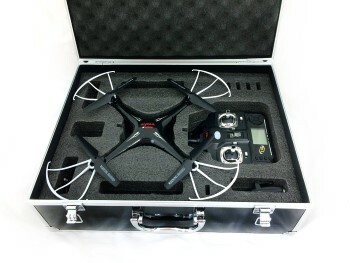 The case features a high density foam insert that’s custom cut to fit the drone’s parts. 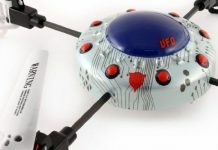 The foam insert includes four battery slots and a large slot for storing the entire drone with landing gear installed. There are also additional slots for accessories. Looking to upgrade the Syma X5SW? 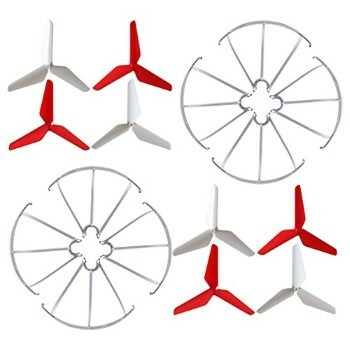 BTG offers a kit of upgraded propellers and prop guards, so you can enjoy more stability and longer flight time. 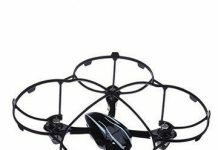 The 3-blade, 3-leaf prop guards and propellers are designed to make your quadcopter more stable. And because they’re lightweight, your drone will use less battery, so you can enjoy longer flight times. 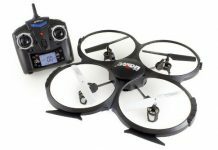 Combine these with the upgraded battery kit, and you’ll maximize your flying time. 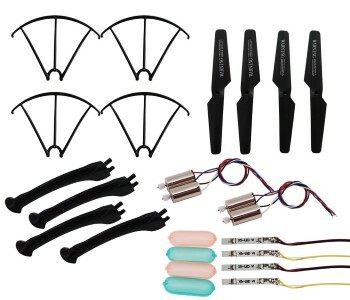 Each kit comes with 2 sets of guards and 2 sets of propellers. If you’re an inexperienced pilot, you’re bound to have a crash or two. And one of the first parts to get damaged in a crash is the motor. 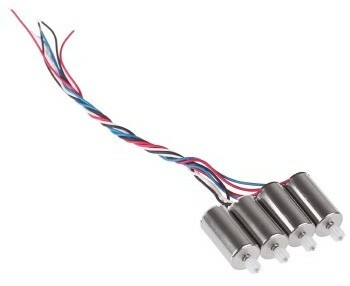 BTG offers a set of replacement motors for the Syma X5SW, so you can repair your drone, and be up and running in no time. The pack includes CCW and CW motors in a white color. Four motors in total are included. With this pack on hand, a crash will never spoil your flying sessions. 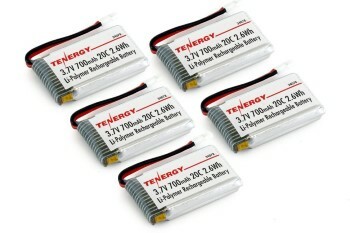 If the Mudder battery pack simply isn’t powerful enough for you, the Tenergy 5-pack will be. This pack includes five rechargeable 700mAh 3.7 V LiPO batteries, so you can enjoy even longer flight times. The best part is that these batteries are exact and direct replacements, so you never need to make any modifications for them to work. With a pack of five replacement batteries, you’ll enjoy plenty of flight time.